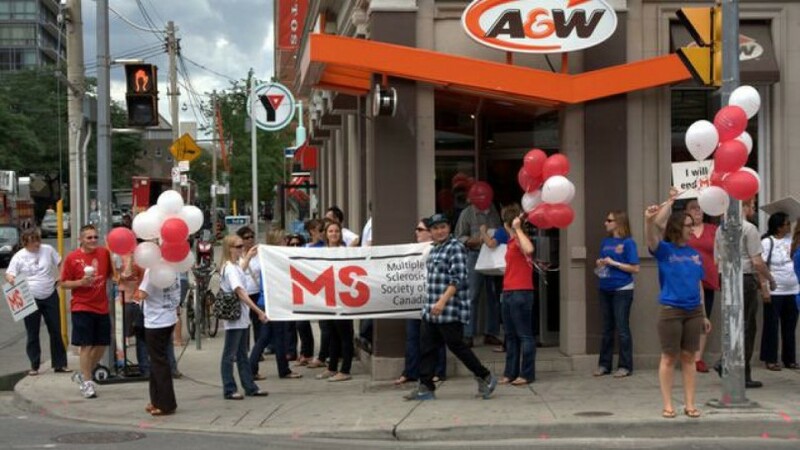 First there was poutine for the cure. 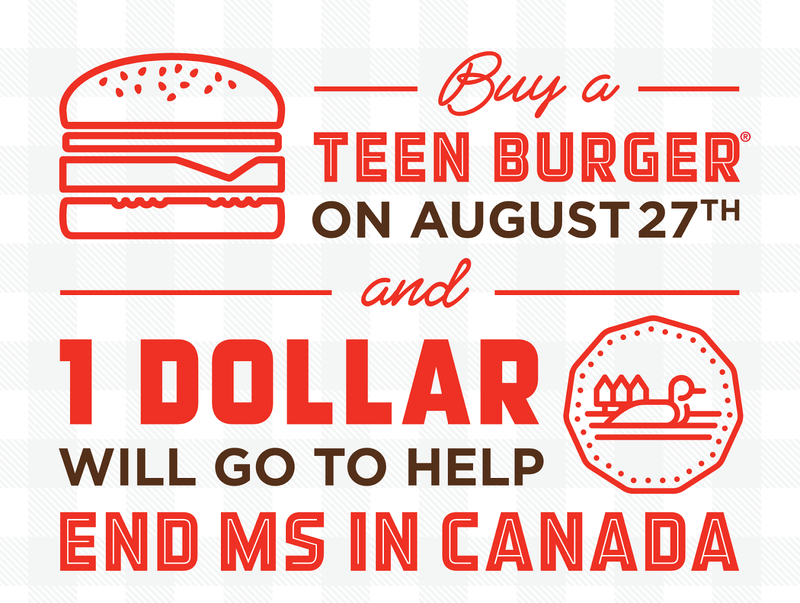 Next, maple syrup for the cure. Now, A&W burgers for the cure, and according to a past press release about the annual "Cruisin' to end MS" partnership between Canada's MS Society and the A&W burger chain, there'll even be root beer chugging contests for the cure. 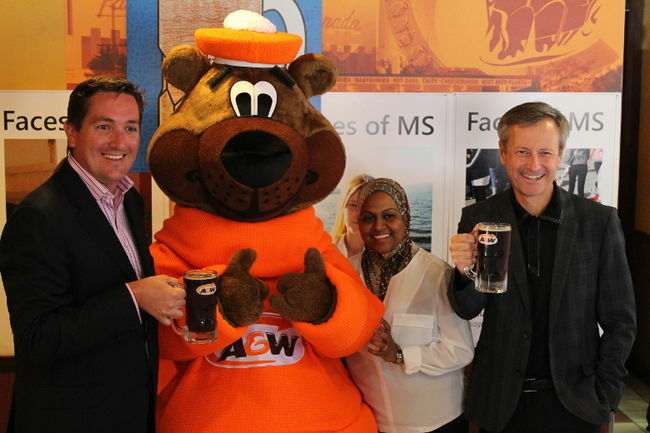 "More than 800 A&W restaurants across the country will host Cruisin’ to End MS events, which may include Cruisin’ the Dub® classic car and hot rod gatherings, retro music, car hop service, A&W Root Beer® chugging contests and visits from the Great A&W Root Bear®. 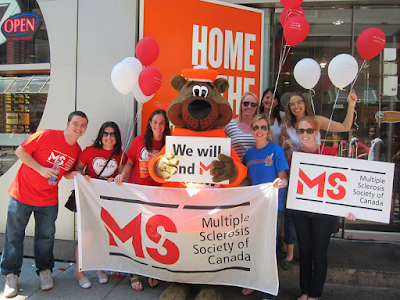 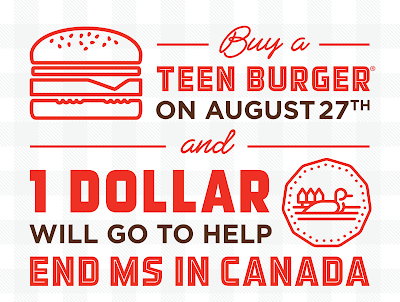 In addition to buying a Teen Burger®, supporters can also purchase $1, $2 or $5 paper cutouts, give through in-store donation mugs or make online donations at cruisintoendms.ca; all of which goes towards supporting activities that help people touched by MS. A&W will also donate $1 to the MS Society of Canada for every RSVP to the A&W Cruisin’ to End MS event on Facebook and every tweet or retweet with the hashtag #CruisinToEndMS." 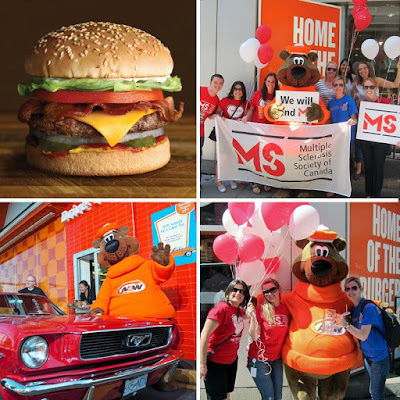 What might have made sense in the context of a world where fast and junk food was a rare treat, doesn't make sense in the reality of the world we actually live in. 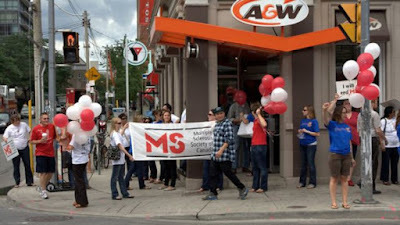 In this world, health organizations shouldn't be selling illness in the name of health and instead should be should be actively working to denormalize junk food's regular consumption, not encouraging its purchase and "chugging".